Revenue generated from the sales of servers globally reached $12.57 billion in the second quarter of 2014 according to the latest IDC worldwide quarterly server tracker, which means that the sector is on track to hit $50 billion sales for a full year. That's a 2.5% improvement year-on-year while the number of servers shipped grew by only 1.2% to 2.2 million, which indicates that the average prices of the servers shipped increased by slightly more than 2% to just over $5,720. Volume systems experienced a near-5% revenue growth, the fifth consecutive quarterly growth in that segment. Midrange systems grew by 11.6 per cent while high-end enterprise systems saw revenues shrink by nearly 10%; IDC reckons that this is due to "difficult annual comparisons in the segment". As for vendors, the market leader, HP, saw its share of the market increase slightly to 25.4% ahead of the IBM (23.6%), Dell (16.6%), Oracle and Cisco (5.9% and 5.8% respectively). 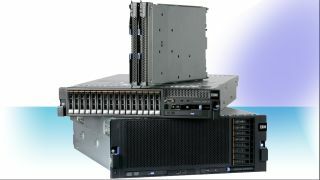 IBM saw its revenue growth fall down by more than 10% and it is likely that this will accelerate because that it has sold its entry-level x86 server business unit to Lenovo. Expect the Chinese manufacturer, whom I suspects accounts for a sizeable chunk of the "others" segment, to appear in the top 5 list. Another noteworthy titbit is the rate at which Cisco's revenue is growing, up by more than a third on a year-on-year basis. ODM Direct sellers as well are enjoying some significant growth and, combined with the "other" vendors, now account for nearly 23% of the worldwide server system market, up from less than 20%.